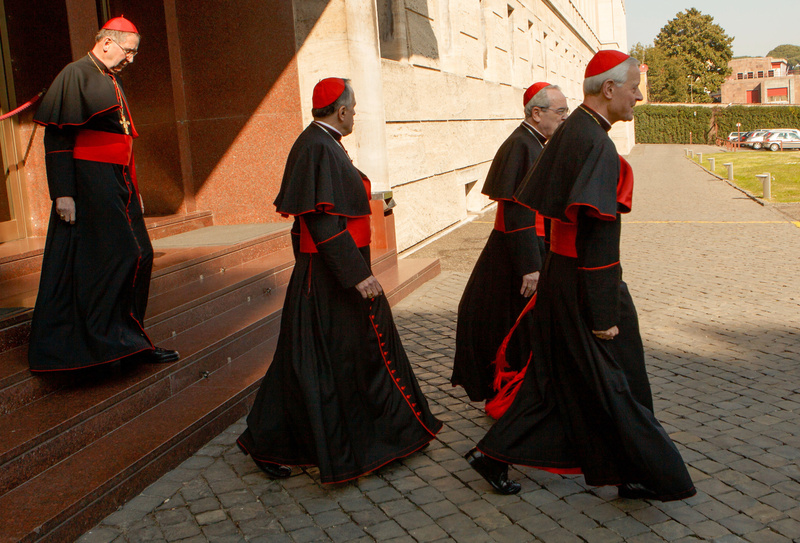 Pope Benedict addressed 144 cardinals, including many of the 115 under the age of 80 who are eligible and expected to vote in the upcoming conclave. The cardinals responded with a standing ovation. Prior to the pope’s remarks, Cardinal Angelo Sodano, dean of the College of Cardinals, addressed a short tribute to the departing pontiff, whose resignation was scheduled to take effect at 8 p.m. the same day. “With great trepidation the cardinal fathers present in Rome rally around you today to show once again their profound affection and express to you their deep gratitude for your witness of self-denying apostolic service, for the good of the church of Christ and all humanity,” the cardinal said. 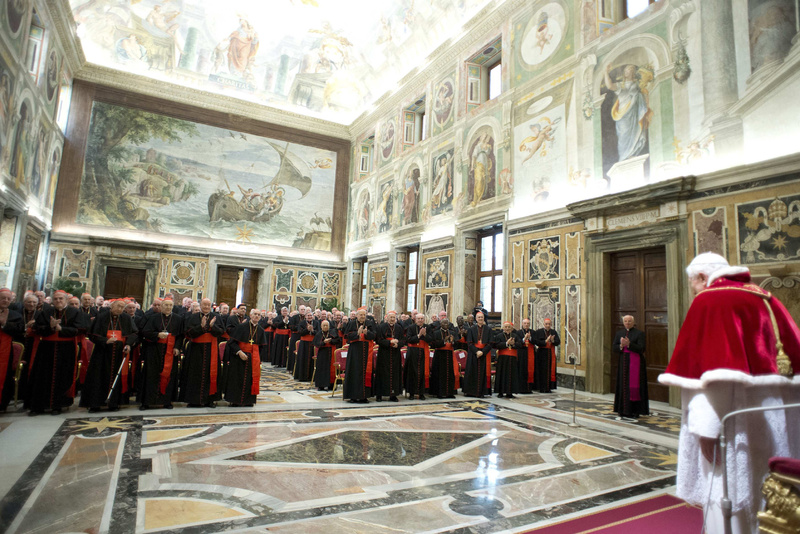 Following the brief ceremony, Pope Benedict received individual greetings from the assembled cardinals and from officials of the Roman Curia, the church’s central administration at the Vatican. Most kissed the pope’s ring, with some also genuflecting before they exchanged a few words with the pope; a few were brought up in wheelchairs. Some cardinals handed the pope what appeared to be personal notes or small presents; Vienna’s Cardinal Christoph Schonborn, one of Pope Benedict’s former students, gave him a book.